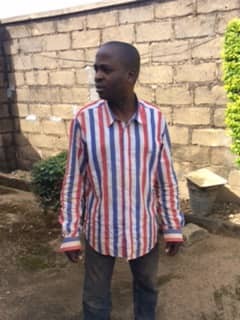 Last week's detained Plateau State correspondent of The Punch newspaper, Mr. Friday Olokoh has given the Nigerian Army authorities 48hr ultimatum to file a written apology in addition to a N50million compensation over "unlawful arrest, grievous assault, inhuman and degrading treatment," by soldiers from the 3rd Army Division, Jos. In a petition to the Chief of Army Staff dated October 10, 2018, council to Mr. Olokoh, Barr. Olisa John Tochukwu of the E.H Ugochukwu Chambers regretted that the petitioner is a seasoned journalist and Senior Correspondent with Punch Newspapers authorised to cover Nigeria Army and it's activities but was arrested and subjected to "assault, humiliation and inhuman treatment" while working on a press statement from Col. Kayode Ogunsanya, the Deputy Director of Army Public Relations in 3 Division. The petition reads, "Our brief revealed that on Saturday, October 6, 2018, our client received a statement from the Nigerian Army through Col. Kayode Ogunsanya, and decided to immediately work on it and dispatch to his employers while taking his dinner at Anne Breeze Restaurant, Rayfield area Jos, Plateau State. "Our client arrived the restaurant before 9:pm but while working on statement and waiting for his dinner to be served, three truckload of Soldiers fully masked led by one Captain Rabiu invaded the area, arrested our client and many others without giving our client any reason for the arrest. "Our client promptly identified himself as a journalist but was ignored. "Our client was informed that the SPECIAL SQUAD from Maiduguri was deployed by you for his arrest. "He was later taken to the 3 Division of the Nigerian Army Headquarters in Rubuka Barracks, Jos, and kept in an uncompleted building where ALL HIS BELONGINGS were confiscated and held incommunicado. "His plea to be allowed to communicate with his family or his editors was refused as the soldiers threatened to waste him if he does not keep quiet. "Our client was kept in the most dehumanizing condition with more than 30 other persons and made to urinate or pass faeces in the same room. "The next day, he was interviewed more than 5 times by Military police officers who kept him at constant watch. Several photos of his were taken as well as his house address. "It took the intervention of Col. Kayode Ogunsanya, the Deputy Director of Army Public Relations in 3 Division Army, who sent him the press statement to work on, before he was released." Based on the above stated "facts," the Council demanded "A written unreserved apology for the treatment meted to our client and immediate payment of the sum of N50,000,000(Fifty Million Niara) as compensation." Failure to comply within 48 hours from the time of receipt of the letter which is however unspecified, Barr. Tochukwu threatened to "immediately" commence "cogent legal action" against the Army Chief and his "agents". Mr. Olokoh was arrested last week Saturday by soldiers said to be investigating the disappearance of retired Maj. General Idris Alkali. The raid which was carried out near the Plateau State Government House, Rayfield, Jos, followed an earlier raid by the same army in a community located about 8km from the latest location, where over 30 people including a pregnant woman was arrested. The Army had claimed to have recovered a car belonging to the missing General in a pond in the community, but the missing officer's wife has been quoted as saying the recovered car was not his. The Nigerian army authorities have not reaoinded to her claims or released the detained suspects except the pregnant Noro Moses who regained freedom on Friday.